“Glory to God in the highest, and on earth peace to men of good will” (cf. Luke 2:14). Peace is announced to the whole world: the peace of man with God by the remission of sins; the peace of men with one another; the peace of man with himself by the accord of all his desires with the will of God. This is the peace that the angels announce to the whole universe. This peace has as its object the glory of God. Do not rejoice in this peace because of what it makes us feel in our hearts, but because it glorifies God upon the high throne of his glory. Let us rise to the heights, to the great­est height that is the throne of God, to glorify him in himself and to love what he does in us only for his sake. In this spirit let us sing with the whole Church: Gloria in excelsis Deo. 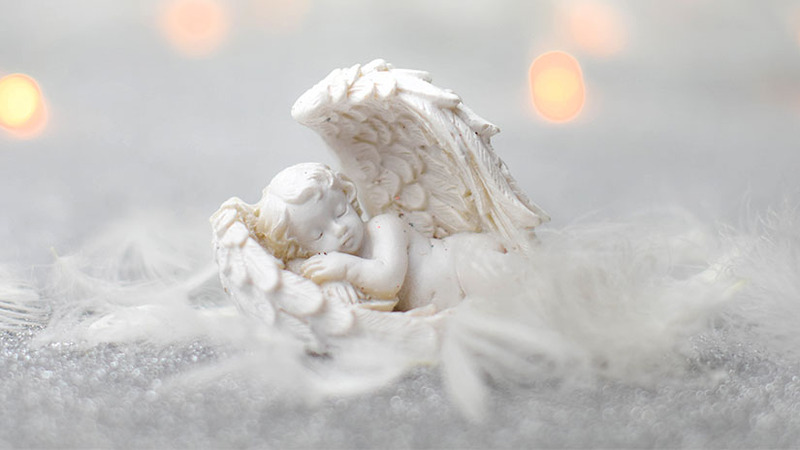 Every time this angelic song is intoned, let us enter into the music of the angels by the harmony and concord of all our desires. Let us remember the birth of our Lord that gave birth to this song. Let us put our hearts into the words that the Church has added to interpret the song of the angels: Laudamus te, adoramus te (“we praise you, we adore you”), and most especially, Gratias agimus tibi, propter magnam gloriam tuam (“we give you thanks for your great glory”). We love your blessings, because they glorify you, and the good things that you have done for us, because by them your glory is honored. Peace on earth to men of good will. The word in the original that is here rendered as “good will” signifies the good will of God for us and teaches us that God gives peace to those he cherishes. The original reads, word for word, “Glory to God in the high places, peace upon the earth, good will on the part of God toward men.” It is thus that the Churches of the East have always read it. Those of the West come to the same meaning by sing­ing “peace to men of good will,” that is to say, in the first place, to those whom God wills the good, and in the sec­ond, to those who themselves have a good will, inasmuch as the first effect of the good will of God toward us is to inspire in us a good will toward him. A good will is one that is in conformity with the will of God. As his will is good in itself, the one who conforms to it is good by that likeness. Let us then rule our will by the will of God. Then we will be men of good will, provided that it not be by insensibility, indolence, neg­ligence, or to avoid work that we “cast all our anxieties upon him” (1 Pet. 5:7) but instead by faith. Our souls be­come soft and lazy by saying, “Let God do what he will,” if we say so in the hope of fleeing pain and anxiety. But truly to be conformed to the will of God, one must know how to make a sacrifice of what is held most dearly and to say to him with a heart that has been torn asunder: “Everything belongs to you; do with it what you will.” We must be like the holy man Job who, when he was told the news that he had lost all of his belongings and all of his children in a single day, threw himself on the ground and said: “The Lord gave, and the Lord has taken away; blessed be the name of the Lord” (Job 1:21). The one who adores in this way is the true man of good will, and lifted beyond his senses and his own will, he glorifies God in the high places. This is why he has peace: he labors to calm the trouble in his heart, not because this trouble causes him pain, but because it prevents the perfection of the sacrifice that he wishes to make to God. Otherwise he would only be seeking a false repose. Behold, this is what is meant by good will. Taken from Meditiations for Advent by Jacques Baenigne Bossuet with permission from Sophia Institute Press.